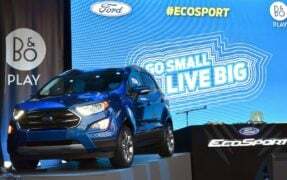 Ford EcoSport Finally Reaches USA! 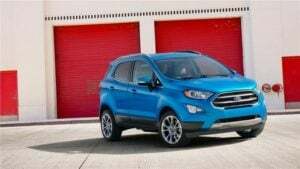 The EcoSport facelift has just be revealed. It has just made its debut at the LA Auto Show. 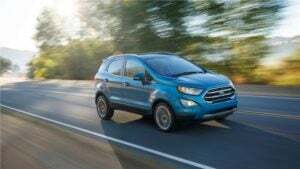 However, the Ford Ecosport will be launched only by late 2017 in the USA. Prices will be announced closer to the launch date. 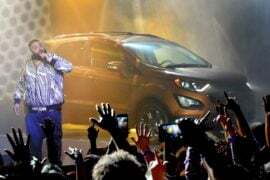 As we said, the EcoSport made its US debut at just the right time! 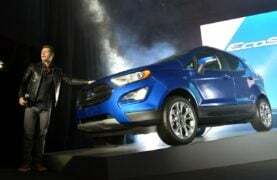 US car market witnessed the sale of more than 276,000 subcompact SUVs in 2015. 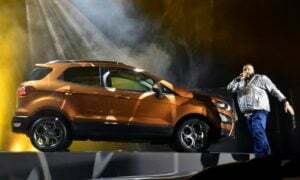 Ford feels that this figure could see at least a two-fold increase by 2020. 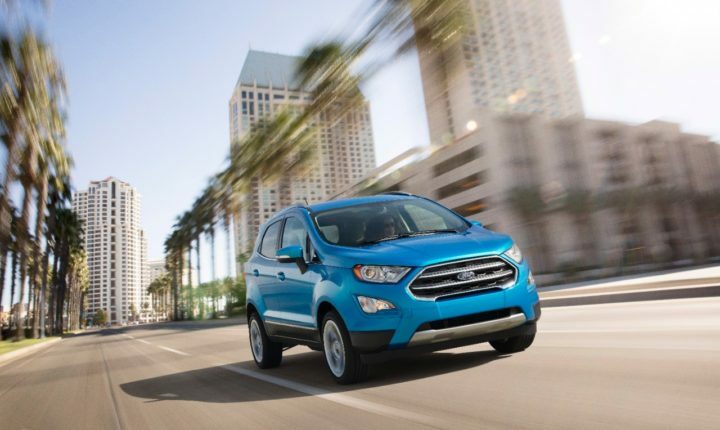 The EcoSport has been setting sales charts on fire in many markets around the globe. Hence, it makes perfect sense for Ford to finally bring its cutesy SUV to the US. 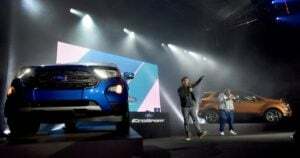 In India, which is the export hub for the EcoSport, this baby SUV is available with 3 engines – 1.0-liter EcoBoost, 1.5-liter TiVCT, 1.5-liter TDCi Diesel. 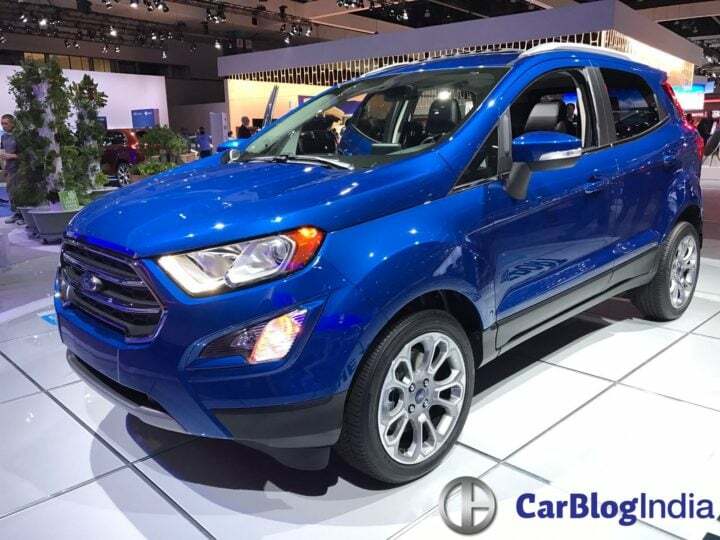 In USA, however, the EcoSport is likely to get two engine options. The front-wheel-drive variants will be powered by the efficient 1.0-liter EcoBoost. 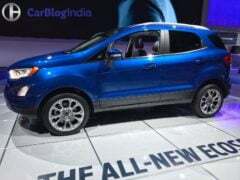 The four-wheel-drive models will get a 2.0-liter unit. Both the engines will get a six-speed automatic transmission. 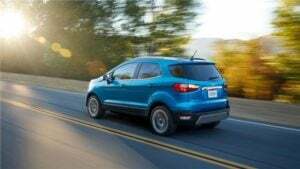 For the US market, the EcoSport will feature a 1.0 L EcoBoost Turbocharged petrol engine. There will also be a 2.0 L Petrol engine on offer. 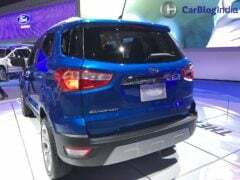 Unlike the Indian market, the US-spec EcoSport will get All Wheel Drive. 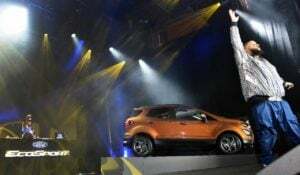 The compact SUV will be manufactured at Ford’s facility in Chennai and exported to the USA. Exact specifications are not known yet. However, the 1.0 L EcoBoost petrol will make around 124 BHP and 170 Nm. Transmission could be a 6-speed automatic. 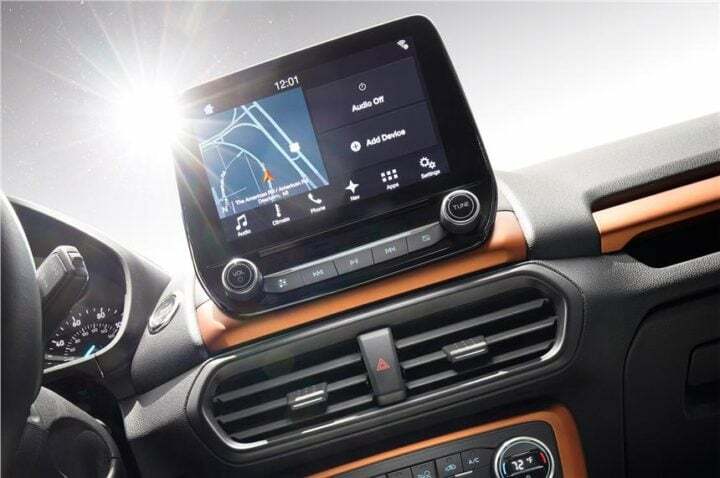 A highlight of the EcoSport’s features list will be the dash-mounted eight-inch screen for the Sync 3 system. 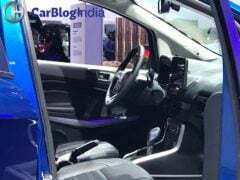 The EcoSport will offer Android Auto and Apple CarPlay, along with an optional Harman-sourced 10-speaker, 675-watt B&O PLAY audio system. 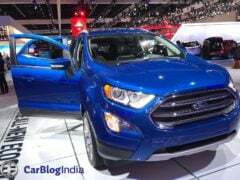 Stay tuned to CarBlogIndia for more on the Ford EcoSport USA Launch Date and Specifications.